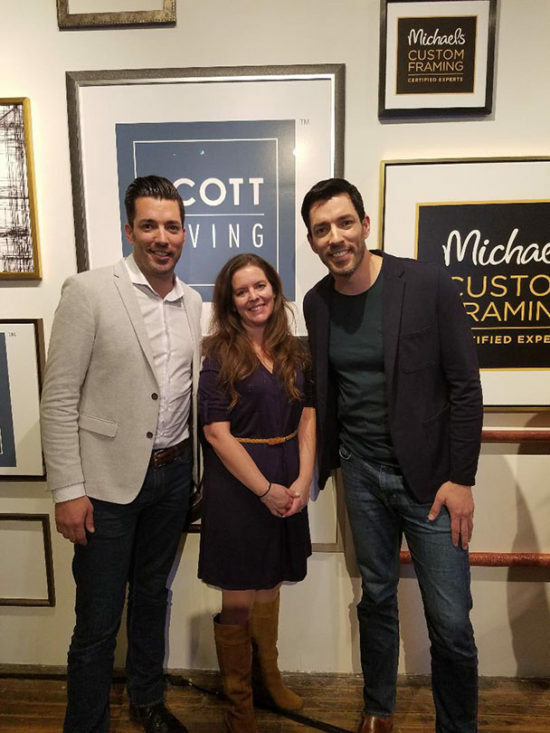 Custom Framing and The Property Brothers! You guys may have seen this picture of me with the Property Brothers that I posted on Facebook and Instagram. Today I wanted to tell you how that all came about. I’m still pinching myself to be sure it really happened! 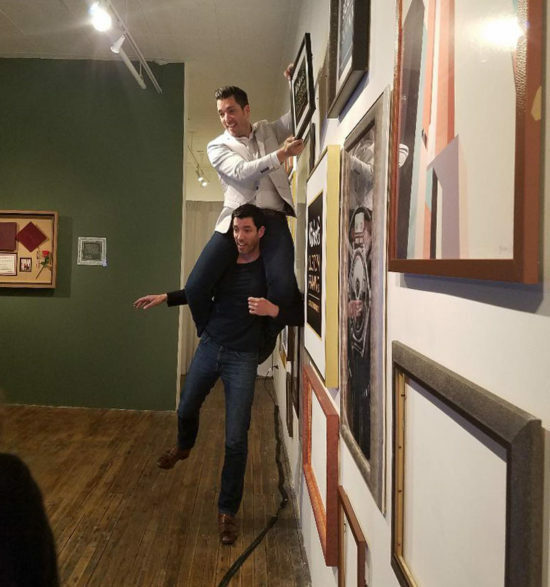 The Property Brothers have a new line of custom framing available at Michael’s, and the store was having a media event to announce this new line. I’ve attended media events before and you really never know what to expect until you get there. This one was held at a gallery in NYC. The Property Brothers were already there when we arrived. They were every bit as personable and energetic as they appear on tv, maybe even more so. They introduced themselves to us and we had the opportunity to interview them along with the other media people that were there. 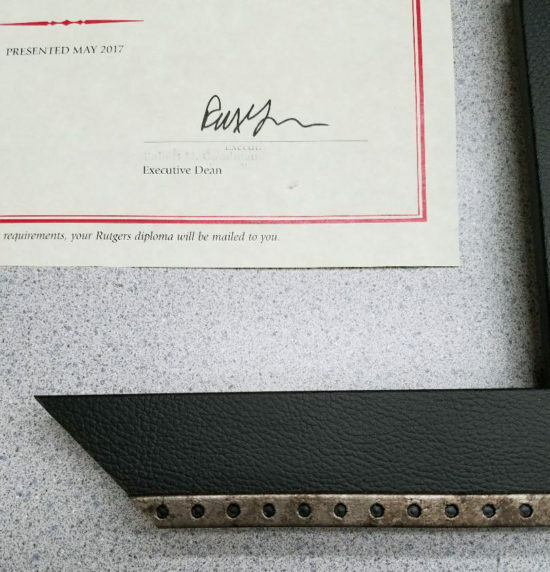 The gallery was filled with their new line of custom frames. Of course, I had to try one of these custom framing options for myself. 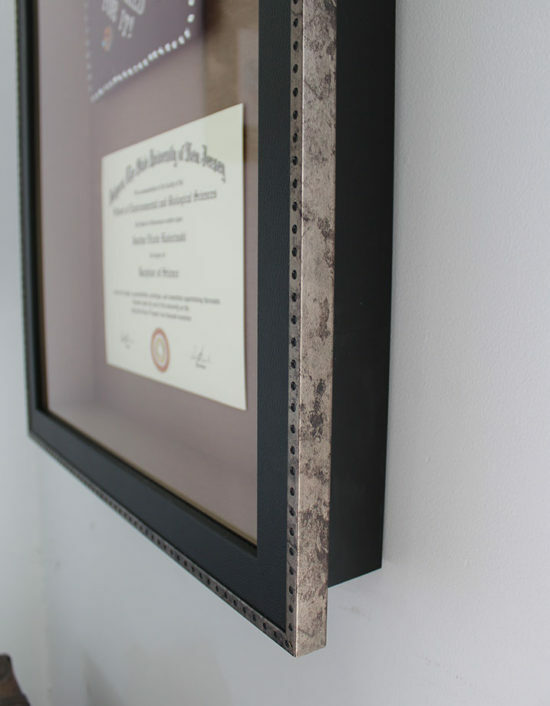 My oldest daughter recently graduated college and I wanted to frame her diploma. 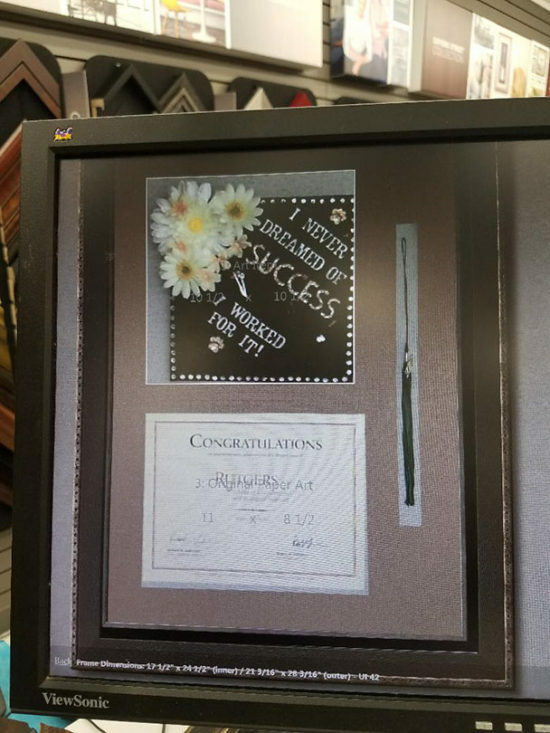 This diploma means more to us than you know, so I wanted it to be special. I have to also share the backstory on that with you. When my daughter was little, she always said she wanted to be a veterinarian. I thought it was just the usual kid talk but as she grew she never wavered on that and never once said that she wanted to be anything other than a vet. Looking back now, she did show signs of an extraordinary love for animals. I remember visiting a friends house who I hadn’t seen in years when my daughter was around 4. At one point, I realized my daughter had disappeared. After searching, we found her under my friend’s bed trying to coax her cat out from under it. When she was in grade school I subscribed her to Cat Fancy and Dog Fancy magazines. One month Cat Fancy had a pull-out poster showing the anatomy of a cat. My daughter loved that and it hung on her wall for years. While in middle school she applied to go to a specialized animal science program for high school and was accepted. In freshman year she started volunteering at a local vet, which later turned into her part-time job, where she still works today. I remember her coming home from there and telling me that she felt like this is where she really fit, it just felt right. 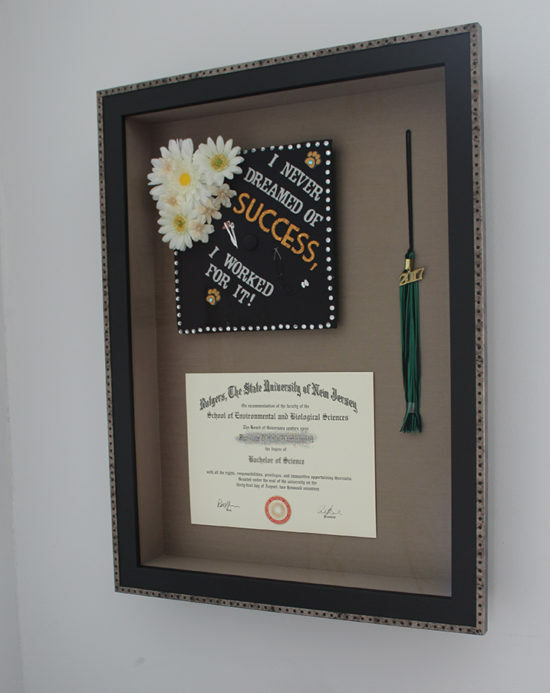 In senior year of high school, she applied to another specialized program for college at Rutgers University. It was a tough one to get in to and I shed many tears when she was accepted. My husband and I did not go to college, it wasn’t even on our radar in those days. We are not very academically inclined and were not really able to help her with her studies in high school. Most kids in our area go to extensive SAT tutoring, but that wasn’t in our budget. Moving on to Rutgers, academics became much more challenging for her. The pre-vet curriculum at Rutgers is known to be one of the toughest around and it was a struggle. There were many a tearful phone call home. At one point she failed chemistry and was placed on academic probation. If you know anything at all about applying to vet school, then you know its the toughest of them all to get into, it’s even more difficult than med school. Especially for NJ students, because there are only a few vets schools in the country (none in NJ) and they will accept in-state students over out of state first. Her chances started to look bleak. Many people tried to dissuade her from wanting to go to vet school. Even myself at one point, purely for financial reasons (the cost of vet school is outrageous) and not because I thought she wouldn’t make it. She never gave up. She suffered through her studies and brought her grades back up all while also working part-time. She would get up early on Saturday morning after working and studying all week and attend open houses being held by universities for prospective vet students in NYC. 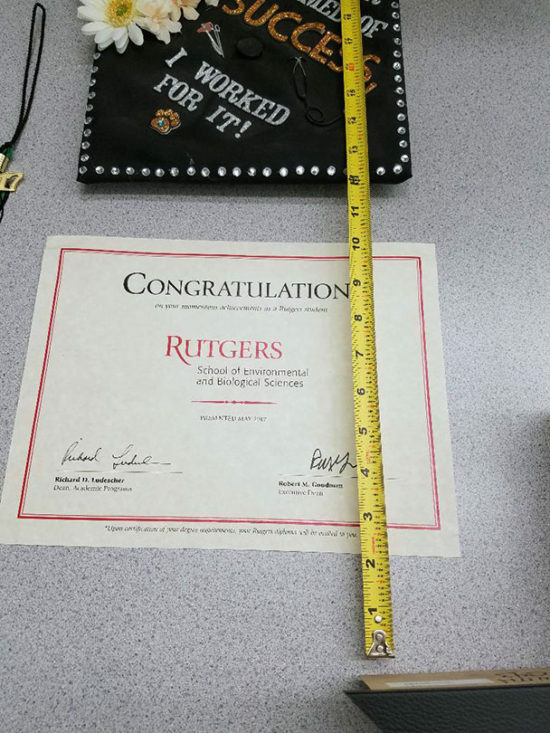 Even though she suffered academic setbacks, bouts of anxiety from the stress and roommates from hell, she accomplished what she set out to do and graduated with a degree in science from Rutgers University. Finally, it was time to apply to vet school. When my daughter asked her mentor from Rutgers for a recommendation letter, the woman said: “Yes, but I don’t think you’re ready for this”. That was a huge blow to my daughter’s ego but she didn’t let it stop her. She applied to only one school. After several months of anticipation, she got the call. She was accepted! She will be leaving in just a few short weeks. 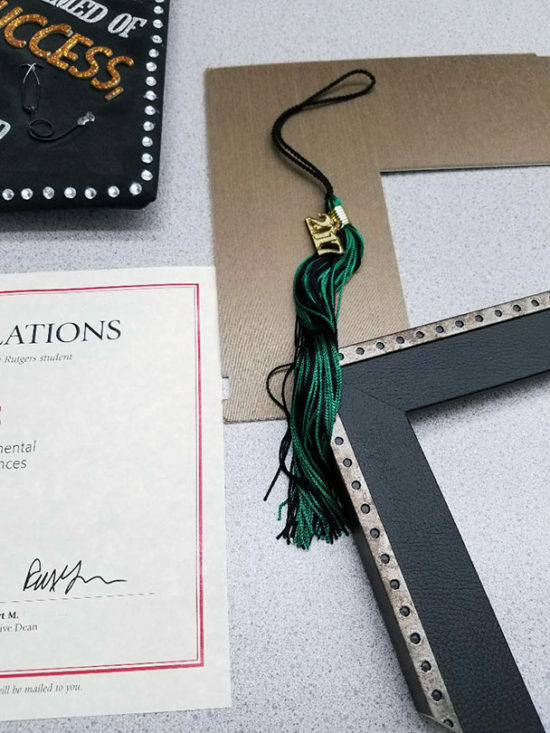 As you can see, this diploma is much more than a piece of paper to us. It represents sheer determination and a passion to follow your dream! As Joel Osteen says, “When God puts a dream in your heart, nothing can stop it!”. Even if the odds are all against you. *This post is in collaborations with Michael’s, all opinions are 100% my own. 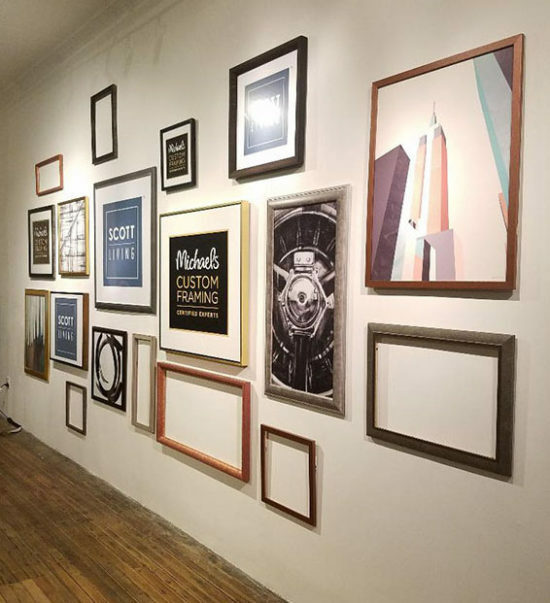 The Scott Living collection of custom framing from the Property Brothers is available exclusively at Michaels stores. You can find the desk chair shown above here. This post may contain affiliate links, read my full disclosure here. If you’d like to follow along with my daughter’s journey through vet school, you can follow along with her brand new blog here. Congratulations to your daughter & family! That is quite an accomplishment & shows she has some real grit to persevere! I know that you all are so very proud! Oh my gosh, Roxanne,! I got all teary reading this! Many congratulations to your daughter – so exciting for your family!! Nice post. I, for one, never had any doubt that she would accomplish her goals . So proud of her. 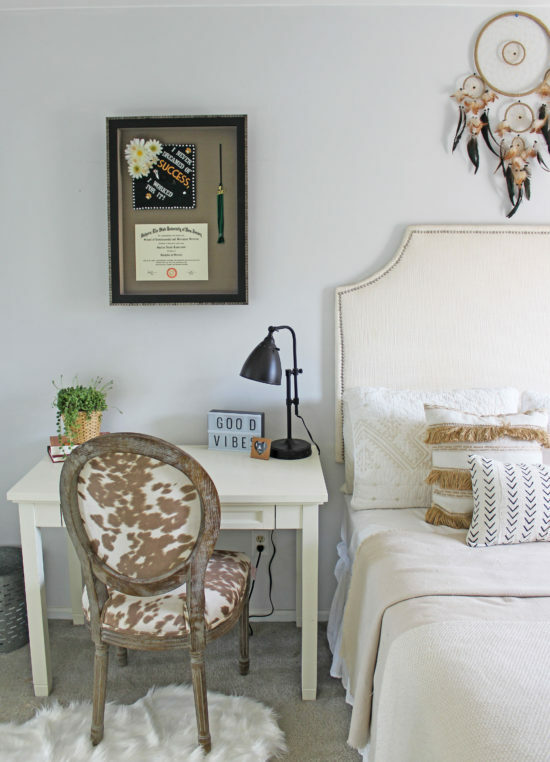 Wonderful story about your daughter, my own daughter is starting college in the fall with vet school as her dream…I would be interested in reading Justine’s blog, can you ask her to make it searchable on Bloglovin?! Thanks Debbie, I will mention that to her. Best of luck to your daughter!